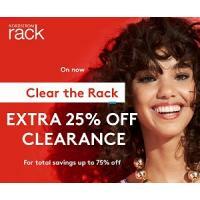 Why shop Nordstrom Rack? Because we have the most current trends and the brands you love for 30-85% off original prices—each and every day. And because we're obsessed with finding new ways to help you shop the way you want to shop. It's all about serving customers on their terms: in store, online or through mobile and exciting flash sales powered by HauteLook.